Are you trying to understand the differences between Virtual Reality (VR), Augmented Reality (AR), and Mixed Reality (MR)? Sometimes it feels like they release a new ‘Reality’ each month, so we made a handy LlamaZOO guide to help you keep up with these new technologies, what exactly they do, and how they’re being utilized in new and innovative ways. The best way to think about VR and AR is on a spectrum, where mixed reality is the entire spectrum, with virtual reality at one end, and augmented reality at the other. Being such new technology, the language and definitions surrounding VR/AR/MR can be tricky to decipher, especially when they can be explained in more ways than one. 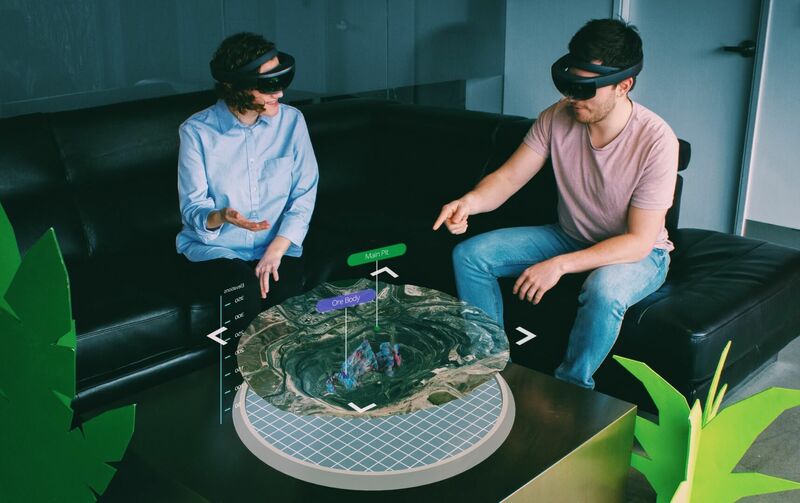 In this article we will explore a few examples to try to give you a firm understanding of the mixed reality spectrum so you can feel confident explaining the differences between AR, VR, and MR to anyone! 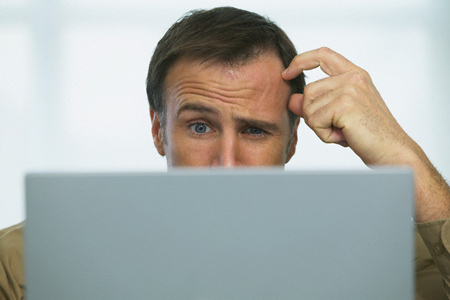 First off, we’ll quickly clarify the difference between 360 content and interactive content. It’s likely that you’ve tried a 360 video on Facebook or your phone – but this is not real interactive content. A 360 video is limited to panning around an enclosed spherical space – you are a passenger. Whereas in VR/AR/MR, you have control of your environment and can interact – you are the driver. The most noise and hype occurring in the tech world by big players such as Oculus Rift, HTC Vive, and Samsung GearVR, is surrounding virtual reality. Virtual reality works with a head-mounted display (HMD), powered by a computer or phone, that allows users to reach out and interact with their virtual environment through controllers. The world reveals itself as users look around and explore, and the important thing here is presence. This technology feels so real it can trick the brain into believing it’s somewhere else (rather than standing safely in your living room). This is perfectly articulated by the thousands of people who were terrified by Save a Cat of Die Trying. VR has the power to transport us to infinite worlds, limited only by our own imagination. 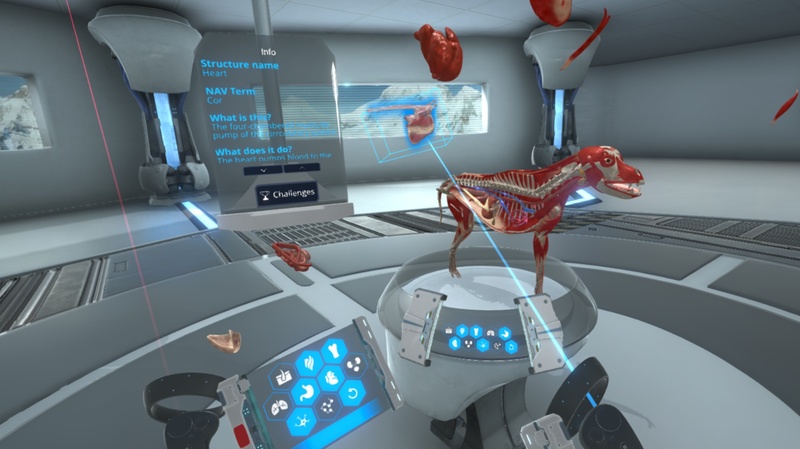 LlamaZOO has released JetsonVR as the world’s first virtual reality canine dissection experience, featuring a medically accurate 3D virtual canine cadaver that can be manipulated and taken apart, layer by layer, organ by organ, in a virtual dissection room. Do you remember when there was a proliferation of people walking the streets, as if a zombie apocalypse had occurred, but without the life threatening virus? Yeah, well, that was when Pokemon Go was first released, and it was the first augmented reality app to take the world by storm. AR is delivered through a wearable device or now most commonly, a smartphone. This Reality is the underdog as analysts believe the application of this technology could be much wider spread. 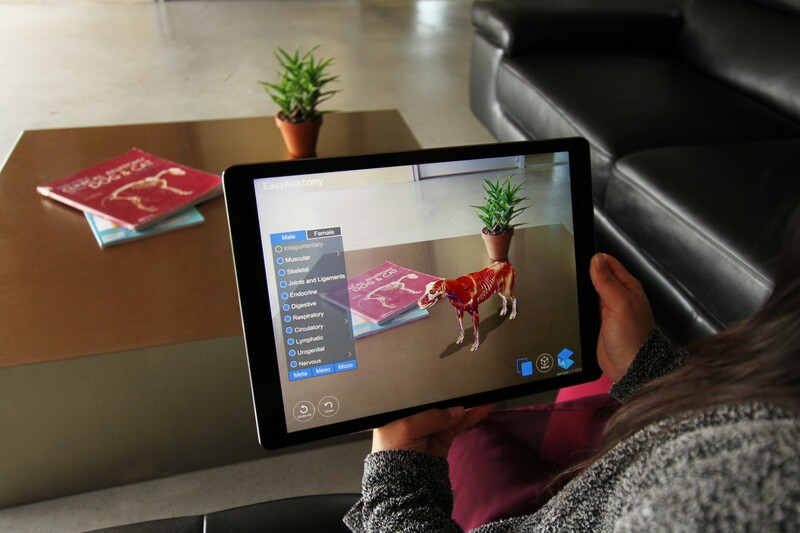 AR is a live view of your reality where elements are augmented (or overlaid) into your environment. Expect to hear a lot more about AR in the coming months with the launch of Apple’s ARKit and Google’s upcoming ARCore. This inclusion of AR to smartphone technology will reduce the cost of AR and bring the power of this technology into everyone’s pocket! One great example is Ikea’s Place app. It lets you try out how 1000’s of items would look in your home. We’ve released an update for EasyAnatomy using ARKit to bring anatomy to life. Here’s a sneak peak but download it now and try it for yourself here! Mixed Reality (MR) (or sometimes called “hybrid reality”) blends digital content with our senses and the real, physical world. The main distinction here between AR and MR is that like AR, MR is a merging of virtual content with the real world, but specific to MR, these two worlds are able to interact and react to each other in real time. The primary tech linked with this reality is Microsoft’s HoloLens, which is essentially a computer for your head. It maps the room, understands your surroundings, and knows where you are in relation to it. 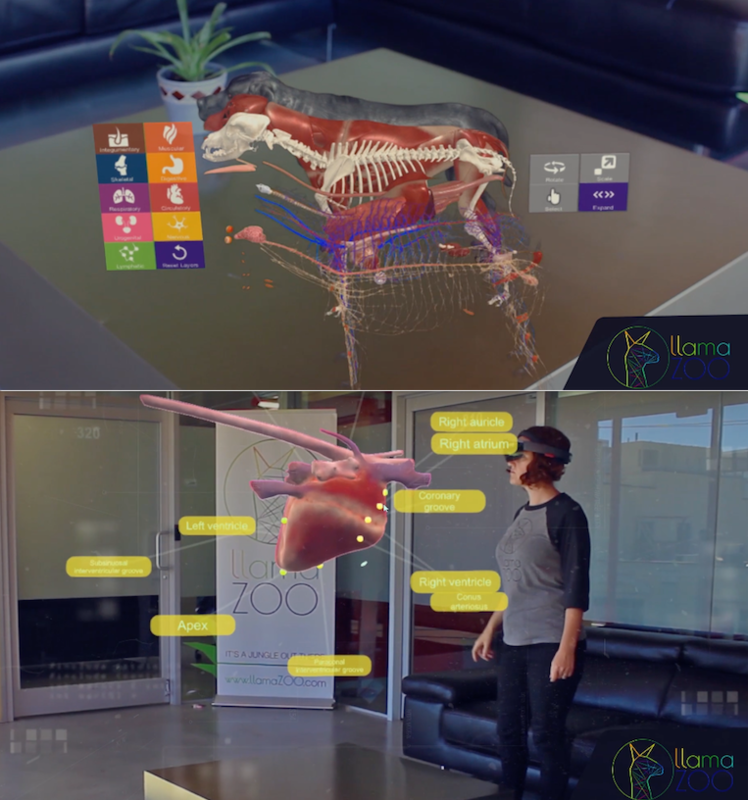 LlamaZOO developed its EasyAnatomy project for the HoloLens, and also created a unique detail experience of the canine heart. Clients can use gestures and voice commands to interact with the content, such as starting the heart beat, and inspecting individual parts. Well – we made it! We hope you now understand a bit more about these amazing technologies, how they work, and how LlamaZOO is using them to solve real-world problems. If you’re looking to dive deeper into the complexities of these technologies – this article from Microsoft is a great place to start!